Had this spider on a flower eyeing up some prey, decided to see if anyone can confirm what it is. 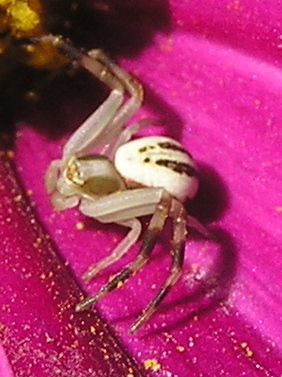 Moved from Whitebanded Crab Spider. I think you were right. Looks like an immature male Misumena vatia instead. Was looking at the data map and saw an M. formosipes listed for BC (which would be rare) so I clicked and saw it might be a misplaced. Thank you for the info and link. Much appreciated.